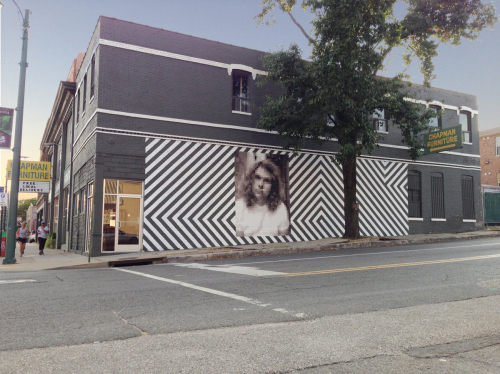 This mural is of Jay Reatard, who died in 2010. The out of focus pixilation depicts a memory that is simultaneously fading away and becoming legendary. It is located at the Chapman Furniture building at 341 South Main Street, Memphis, TN. It was created as part of the Downtown Memphis Commission's Mosaic Project, Oct 3rd, 2014.